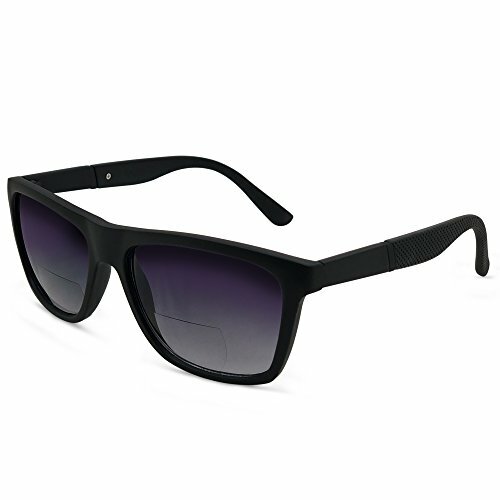 In Style Eyes Amor Nearly No Line Bifocal Wayfarer Sunglasses Black 2.00 by In Style Eyes at Sunglasses Tokyo. Hurry! Limited time offer. Offer valid only while supplies last. These Bifocal Sunglasses give you a Great way to not have to Switch between Sunglasses and Reading Glasses while you're Outside doing what you Enjoy.